Wood boat building, model making and just two examples. Category is just starting. More will be posted in due time. 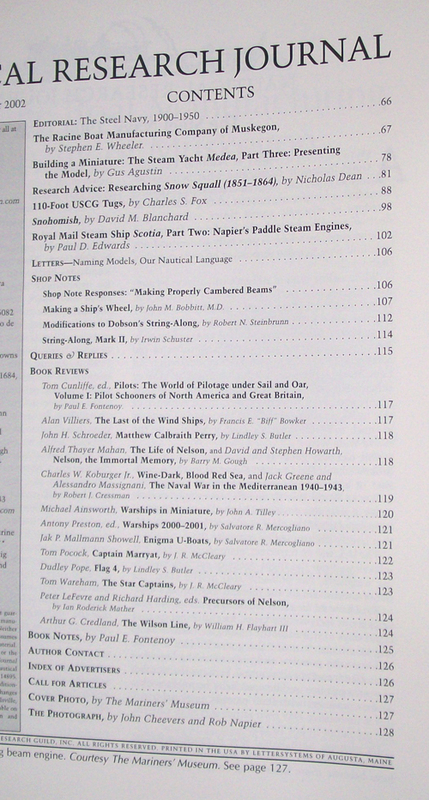 Nautical Research Journal - Summer 2002 - Volume 47, Number 2. 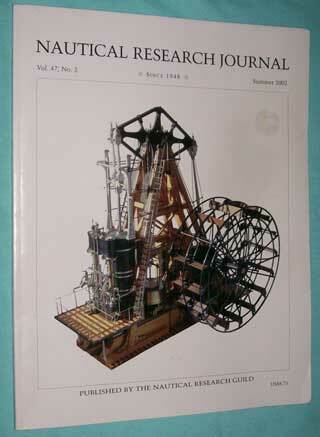 Cover depicts a Model of a Walking Beam Engine. 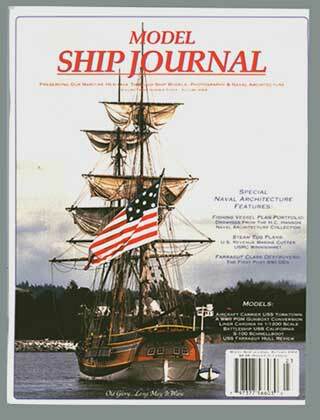 This magazine caters to those individuals interested in model ship building or modeling other nautical subject matter. In this issue the main model plans are for a 110 foot U.S. Coast Guard tug - either Arundel or Mahoning - WW II era. Published by Nautical Research Guild. Very good condition. Used magazine. All plans intact. 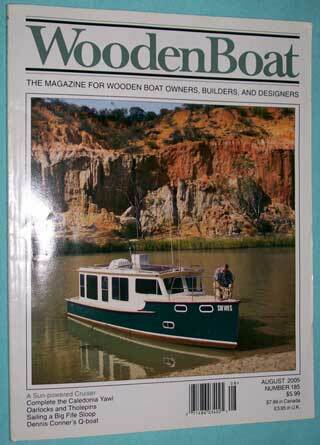 Wooden Boat magazine back issue. Number 185, July / August 2005. This magazine caters to - 'Wooden Boat Owners, Builders and Designers'. Naval architecture, Steam Tug Plans, Farragut Class Destroyer. S & H in the U.S.A. is $2.25.